Calendar with dates and locations listed here. At this life-changing event you will learn more about the angelic realm than you ever thought possible. You will discover God's heart for His heavenly hosts and His intention for us to partner with them in strategic Kingdom alliance. You will understand the strong Scriptural foundation for angelic interaction and learn how to safely step into this supernatural lifestyle for yourself. Secrets of the seers and why you don't need to be one to see your angels. 15 ways the Bible demonstrates that angels minister to us. You WILL experience a new awareness of the spiritual realm! Seminar Materials: Everyday Angels by Charity Virkler Kayembe & Joe Brock. Seminar length: 5-7 hours. Seminar can be followed up by the three-month Everyday Angels course. Textbook, workbook, CDs and DVDs are available. Mark Virkler's daughter, Dr. Charity Kayembe, shows you how to hear from Heaven every night for wisdom, revelation, guidance and comfort. Charity has been listening to the Lord through her dreams for most of her life. Holy Spirit has given her some exciting and unique revelations about what He wants to do in our lives through our dreams, and you will be among the first to experience this cutting-edge teaching. Seminar Materials: Hearing God Through Your Dreams by Mark Virkler and Charity Virkler Kayembe. Seminar length: 5-7 hours. Seminar can be followed up by the three-month Christian Dream Interpretation course. Textbook, workbook, CDs and DVDs are available. Mark Virkler is entertaining and transparent as he unfolds practical insights from the Word of God, showing you how to easily interact with the Holy Spirit on a continuous, ongoing basis and how to receive wisdom and power for successful Kingdom living. YOU WILL ENCOUNTER GOD! Mark sees himself as a coach, drawing you into doing Godly activities which transform the quality of your life. How Can I Lead My Church into Spiritual Renewal? “Give a Man a Word from God and He’s Inspired for a Day. Every pastor dreads people who say “God told me” when it is evident that God did not say anything of the kind. One of my early questions to the Lord was, “How can I teach my church to hear Your voice, without breeding a bunch of ‘crazies’ who run off halfcocked doing bizarre things?” He answered, “If you require that they submit what they believe they hear from Me to three spiritual advisors for confirmation, that will remove the craziness (Prov. 11:14; 2 Cor. 13:1).” Wow! That was simple, and that made sense. That is exactly what I have done for the last 35 years and the survey below shows the powerful healing impact hearing God’s voice can have on a congregation. The results below are of 100 people in a local church who completed the twelve week course on How to Hear God’s Voice. Eighty percent had been believers for more than 25 years, so these are responses from seasoned Christians! So we see from the above that this training provides virtually universal success in bringing people into daily hearing God’s voice. Yes, there are many courses on the market on prayer and hearing God, but 95% is an amazing number! And if you noticed, they said they can now hear daily! All Christians hear God anyway, so why do we need this training? Jesus did guarantee that “My sheep hear My voice.” My problem was that I could not identify His voice during the first 10 years of my Christian life. Now, that I have discovered that His voice most often is sensed as spontaneous thoughts, I can look back over my life and recognize many times He has spoken to me. Once I was driving and a thought came to check my rear view mirror. I did and found a car swerving and speeding toward me. I immediately slowed down and pulled off to the side of the road. The car zoomed past, hit a guard rail, spun around, and ended up facing me on the thruway. I could see the bloodshot look of a young man high on drugs. Unbelievably, he started his car, spun around and continued speeding down the highway. Incidentally just before this car sped past me, my passenger in the back seat had a thought come to him that he should pray for safety for our travels, which he was doing as the car sped past. So yes, I was hearing God’s voice, however, no one had communicated to me that God’s voice often comes as spontaneous thoughts. Once I learned that, and chose to tune to spontaneous thoughts and honor them, I found I could hear God’s voice much more easily and much more of the time. He was now able to talk to me about everything, all day long! I have returned to the experience of the Garden of Eden! Spiritual encounter is only weird to the western church, which has decided to set aside a belief in any direct encounter with the living, ever-present God in favor of the rationalism presented by Thomas Aquinas and other Reformers. The Bible certainly teaches we can hear God and see visions. One-half of the Bible deals with supernatural experiences. The New Testament clearly says in the last days God will pour out His Spirit and we are going to have dreams, visions and prophecy (Acts 2:17). Jesus promised, “My sheep hear My voice.” We are His sheep, aren’t we? Hollywood surely believes in spirit encounter; you can see it in their movies. Even science has reversed itself and is now exploring spiritual phenomenon. Quantum physics is exploring the laws of the spirit as described in Scripture. Western rationalism is breaking down and being replaced with a much more biblical worldview. The church really should lead in this transformation, rather than follow. We surely shouldn’t be fighting against a return to a biblical worldview! Can I hear God’s voice if I don’t speak in tongues? Absolutely! Jesus said,” My sheep hear My voice.” He didn’t say, “My sheep who operate in the gift of speaking in tongues.” All Christians get to hear God’s voice. God’s voice is available to non-charismatics as well as charismatics. And it is astounding how easy it is to move in the gifts of the Spirit. 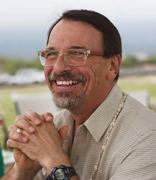 Who is Mark Virkler, this guy who teaches on Hearing God’s Voice? I am Mark Virkler. I was saved at age 15 in a conservative Baptist church, and then attended Roberts Wesleyan College (1970-74), going straight into pastoral ministry as soon as I received my Bachelor in Religion-Philosophy. I have been in full-time Christian ministry ever since. I hungered to hear God’s voice and could not identify it for the first ten years of my Christian life. Those who could easily hear His voice gave me unhelpful answers like, “You know that you know that you know.” Well, I didn’t know! So in 1979 a spontaneous thought came to me to spend a year of my life focused on learning to hear God’s voice. I now recognize that was the voice of God telling me to do this. That year God taught me four simple keys which we have written about in several books, the most recent being 4 Keys to Hearing God’s Voice. At this point, well over 1 million people have used these four keys to cultivate daily communion with the Lord. What are these four keys? As discussed here, they are: 1) quiet yourself down, 2) fix your eyes on Jesus, 3) recognize His voice as spontaneous flowing thoughts, and 4) write down the flow of thoughts which are coming (Hab. 2:1,2; Rev. 1:9-11). So the four keys are: stop, look, listen, write. Click here for a list of many people in Scripture who used these four keys. Then, of course, we teach that you submit what you have written to Scripture and to your three spiritual advisors for confirmation. We also teach that the Lord’s voice lines up with His Names, such as Wonderful Counselor, Prince of Peace and Giver of Life. Satan’s spontaneous thoughts line up with satan’s names: accuser, condemner, thief who comes to kill, steal and destroy. Why do the four keys work so well together? Stillness gets self out of the way. Vision focuses you in on Jesus, so the flow is purified. Flow is part of the language of the heart (out of your innermost being shall flow… Jn. 7:37-39). Writing allows you to stay in faith for an extended period of time since you know you can test what you receive later. Because you are staying in faith, and not moving instantly to testing and doubt, the flow continues and you receive a page rather than a one liner from God. So as a group of four keys, they get the job done. You stay in faith, focused on Jesus for 5, 10, 15 minutes, and receive a paragraph or a page from Jesus every single day, in just a few minutes. Absolutely astonishing! What are the results of hearing God’s voice? Intimacy with God, a greatly deepened relationship, and gifts from His hand! One list of these blessings can be found in Deut. 28:1-14 as noted in the KJV or NKJV versions: “If thou shalt hearken diligently unto the voice of the LORD thy God, then…” blessings shall follow which touch every area of your life: your family, home, workplace, finances and relationships. For me personally, the blessings have resulted in a better marriage, a healed heart, a transformed relationship with my Lord, the writing of nearly 50 books, traveling as a teacher in the body of Christ on six continents for 35 years, founding an online university with over 100 courses reaching 15,000 students in 127 nations, restored physical health, and the list goes on and on. Don’t you want this for your life and the lives of your people? Please check out these amazing testimonies of the impact of Communion With God on participants lives. Experience this training FREE of charge! A tract on the four keys. 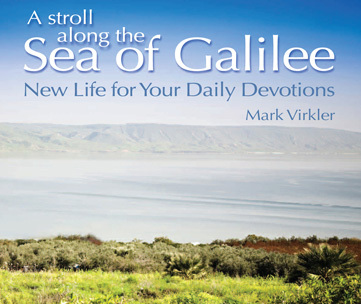 A stroll with Jesus along the Sea of Galilee, which leads you into a visionary encounter with Jesus while anointed soaking music plays softly in the background. Our message in 8 minutes! This TV interview is a great introduction to the four keys. A 60-minute streaming audio on the four keys. Lesson One FREE of our online e-learning course on Hearing God’s Voice. Apply this coupon (PastorIntroduction) and receive $60 off the $99 cost of this Hearing God’s Voice 10-week, e-learning module in our School of the Spirit. Explore our Communion With God Ministries and Christian Leadership University websites. How much is it worth to be able to train your church to hear God’s voice daily? Pastors have told me 80% of their counseling load has disappeared. Marriages are healed. Families are restored. Children actually learn these four keys easier than adults. We have written about the four keys for every age level. Honor is restored among people, as God calls us to honor all. Protection, health, creativity, destiny are all things your people will experience. How much is this worth? Invite one of our Certified Facilitators who lives in your region, or Dr. Mark Virkler, to your church for a weekend seminar on Hearing God’s Voice, which you would follow up with the 10 week DVD training module. Order the 10 week DVD turn-key training module on How to Hear God’s Voice. For your personal growth and enrichment, obtain a CLU Diploma or a Bachelor, Master or Doctoral degree in any of our 14 concentrations, from Christian Leadership University. You can even start a dynamic, turn-key School of the Spirit in your city and by utilizing our “affiliate program” the school can be at no cost to everyone, and constantly expanding. 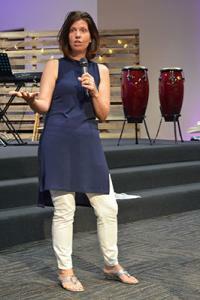 What happens at a “How to Hear God’s Voice” weekend Seminar? Each participant purchases a 48-page LEARN 4 Keys Workbook ($4.95) for the weekend seminar, allowing them to take notes, which deepens the learning experience. The resource table makes available a 300-page book 4 Keys to Hearing God’s Voice, carefully detailing every step to hearing God’s voice and how to easily confirm it is the Lord speaking. It comes complete with daily two-way journaling exercises. 10 hours of audio and 10 hours of identical video of Dr. Mark Virkler teaching through the four keys to hearing God’s voice is also available for purchase from the resource book table or from the CWG website. This allows people to listen to the training over and over in your car, while exercising, and then in the evenings watch it together with their families or small group. This causes them to fully internalize this life-transforming message. Can you imagine everyone in your church hearing God’s voice daily? Rather than hearing one liners from God occasionally, can you envision what your church would be like if your members wrote words from the Lord for 15 minutes in their morning devotions, allowing Him the opportunity to personally guide their lives that day? How many marriages would be strengthened, hearts healed, honor restored, creativity unleashed and destiny re-affirmed, as God calls them to walk each day in faith, hope and love? A church flowing in unity, harmony, vision and destiny is possible. It is most likely to happen when your people can hear from God each day. Fresh daily manna is God’s idea. You can help ensure your people know how to recognize God’s manna of a freshly spoken daily rhema word and gather it up. If you host a weekend seminar with Dr. Mark Virkler or one of his Certified Communion With God Trainers, your church will leap forward in their ability to walk and live by the Spirit. Marriages will be restored, lives will be healed, covenant creativity, favor and blessing will shower down upon your families and God’s kingdom will be manifest before your eyes. You will be humbled at what you see God do in the lives of your people, and a huge workload will be lifted from your shoulders. Contact a certified facilitator or Dr. Virkler TODAY. Rev. Virkler received his B.A. in Religion/Philosophy at Roberts Wesleyan College. Raised a conservative Baptist, educated Free Methodist, influenced and trained by renowned Catholic, Episcopal and Charismatic teachers, Rev. 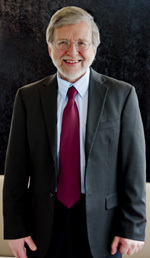 Virkler’s theology and ministry reflect a unique blending of these traditions. 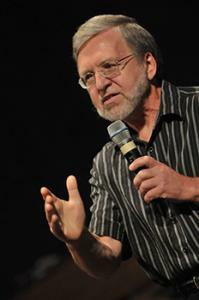 Mark has forty years pastoral experience. He has built three networks of church-centered Bible schools that have utilized his curriculum package. 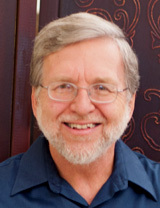 Currently serving as President of Communion With God Ministries, Mark has authored more than fifty texts, has been included in "Who’s Who in the World" each year since 2000, and "Who's Who in American Education" in 2006, and traveled worldwide since 1980 teaching Communion With God seminars. His call in life is to saturate the earth with communion with God, and apply communion with God to the various disciplines of life. An outstanding writer, teacher and entrepreneur, Mark brings these gifts to your church. Mark’s most passionate seminars are: How to Hear God's Voice, Prayers That Heal the Heart, Christian Dream Interpretation, Counseled By God, Naturally Supernatural, Spirit-Anointed Teaching, Baptism in the Holy Spirit and Go Natural. Make these your first choices. (Formerly titled Communion With God.) This is our most popular seminar, being requested more than all of our other seminars combined. This experiential seminar is the most down-to-earth, practical training available today teaching people how to clearly and continuously discern the voice of God within their hearts. Biblical techniques of vision and journaling are combined to help you discern and clarify the spontaneous thoughts that come from God. The goal is that you commune (converse) with God through the fellowship of the Holy Spirit. Individual journaling and small and large group sharing will be ongoing activities of the seminar. Sessions include: Four Keys to Hearing God’s Voice; Going Beyond Reason to Revelation; What God's Voice Sounds Like; How to Instantly Remove All Idols from Your Heart; How to Effortlessly Still Your Mind; How to Receive Visions from God; Two-way Journaling—Writing Down What God Is Saying to You. This seminar will bring all participants into an entirely new way of living as they learn how to live out of the still, small voice of God within them. Seminar Materials: "LEARN 4 Keys to Hearing God's Voice notebook" by Mark and Patti Virkler. Seminar length: 8½ hours. It is required that pastors follow up this seminar with the three-month Communion With God course. (What you shepherd you get more of and it is better quality. What you don’t shepherd and care for becomes weak and sickly and may lose its way.) Teacher’s guide, CDs, DVDs and main 300-page book are available. We will typeset a color brochure for you and print and mail it to you for distribution. Simply e-mail ([email protected]) or fax (716-685-3908) this completed brochure back to CWG Ministries with the personalized information for your church in it, and let us know how many you would like. We will provide you with as many as you would like at no cost. We only request that you distribute all brochures that we print for you. Phone: 800-466-6961. We now have available Group Leader Bonus Resources, which includes customizable and printable flyers, bulletin inserts, posters (8.5 x 11 and 11 x 17), email blast articles, 2-minute and 8-minute video promos; plus photos and bio of Mark Virkler. Click here to download the promotional material for free! Additional Outstanding Resources to assist you in promoting a "How to Hear God’s Voice" seminar. Many books have been written on how to heal the common life problems of fear, guilt, anger, inferiority and depression. However, none teach how hearing a freshly spoken rhema word from God within your heart can heal these. In this unique seminar, participants will not only learn how to hear rhema but they will actually journal throughout the weekend experiencing the power of the voice of God to heal problems in these areas of their lives. Sessions include: The Pure in Heart Shall See God; Moving From Fear to Faith; Moving From Guilt to Hope; Moving From Anger to Love; Moving From Inferiority to Identity in Christ; The Cross - The Center of Christian Growth; Healing Depression; Maintaining a Pure Heart by Seeing God in All. Seminar Materials: Counseled By God by Mark and Patti Virkler. Seminar length: 6 - 8½ hours. Seminar should be followed up with the three-month Counseled By God course. Textbook, workbook, teacher’s guide, CDs and videos are available. God declares that "if there is a prophet among you, I, the Lord, shall make myself known to him in a vision. I shall speak with him in a dream" (Num. 12:6). God is still speaking to mankind through the dream today. We will learn how to interpret the language of symbolism in the dream and thus, how to unravel their messages to us. We will discuss the voice of God in the dream, the validity of the dream, the setting, purpose and response to the dream, the importance of the journal, people and animals in dreams, objective and subjective dreams, the dream as a great problem-solver, dreams and counseling, laws of interpretation, and dreams and visions at the birth of Christ. Seminar Materials: Hear God Through Your Dreams by Mark and Patti Virkler. Seminar length: 3-5 hours. Seminar should be followed up by the three-month Christian Dream Interpretation course. Textbook, workbook, CDs and DVDs are available. We now have Group Leader Bonus Resources, which include customizable and printable flyers, bulletin inserts, posters (8.5 x 11 and 11 x 17), email blast articles, 2-minute video promo; plus photos and bio of Mark Virkler. The "Prayers That Heal the Heart" seminar takes the participant through seven specific prayers, unraveling seven contributing "strands" which feed a wound in one’s heart. A heart wound may be a negative emotion or a persistent sin problem such as anger, fear, guilt, or abandonment. The seminar also teaches how to complete a "Biblical Meditation" in the area of the heart wounding, thus solidifying the gains you have made (Josh. 1:8). The prayer seminar guides you through one heart issue helping you discover and break all the strands to that one particular issue. The language of the heart is defined biblically as "spontaneous thoughts, pictures, and emotions." When healing the heart, one must use the language of the heart. You are taught specifically how to do this. The final session will be prayer ministry time where trained counselors minister to small groups of three people. Our goal is that everyone who desires it will receive ministry and healing for one heart wound. Seminar Materials: "LEARN Prayers That Heal the Heart notebook" by Mark Virkler. Seminar length: 8½ hours. Seminar must be followed up with three-month Prayers That Heal the Heart course built around the book by that title. CDs and DVDs of the seminar are available. We will typeset a color brochure for you and print and mail it to you for distribution. Simply e-mail [email protected] or fax (716-685-3908) this completed brochure back to CWG Ministries with the personalized information for your church in it, and let us know how many you would like. We will provide you with as many as you would like at no cost. We only request that you distribute all brochures that we print for you. Phone: 800-466-6961. We also now have available Group Leader Bonus Resources which include customizable and printable flyers, bulletin inserts, posters (8.5 x 11 and 11 x 17), email blast articles, 2-minute video promo, plus photos and bio of Mark Virkler. A three to six hour seminar where you discover the amazing correlations between biblical injunctions on diet and health, and the most recent scientific research. You’ll also learn how you can take charge of your own health - keeping yourself young, vivacious, attractive, and free of degenerative diseases by detoxifying your body, rebuilding your immune system, and nourishing your body’s cells. Topics include: diet; the immune system; pure water; non-toxic living environment; exercise; prayer; fasting and more. Seminar Materials: LEARN Go Natural notebook by Mark and Patti Virkler. It is recommended that a complete three-month Go Natural course be offered following this seminar. Textbook, workbook, teacher’s guide, video and audio series are available. A very practical seminar, leading participants into the experience of the baptism in the Holy Spirit and offering an historical and theological background to the baptism. This clear presentation of the three works of the Holy Spirit in the believer’s life has helped many come to a clearer understanding of the Holy Spirit as well as guiding them into the experience of the baptism in the Holy Spirit and the gift of speaking in tongues. Seminar Materials: Booklet handouts by Mark and Patti Virkler. Seminar length: 2-4 hours. Follow-up materials include Wading Deeper Into the River of God, which can be a three-month course. This seminar deals particularly with experiencing the gifts of tongue speaking, prophecy, word of wisdom, word of knowledge, and physical healing. Each participant will be led into the operation of these gifts. Seminar Materials: Various handouts by Mark and Patti Virkler. Seminar length: 5-8 hours. Follow-up materials include Wading Deeper Into the River of God, which can be a three-month course. Abiding is a way of living as we walk Spirit-sensitive, experiencing the flow of the Holy Spirit at all times. Living naturally supernatural releases the flow of divine power within one’s life, while at the same time releasing him from religiosity, striving and self-effort. This seminar will train participants in that reality, helping them learn how to live sensitive to the flow of the Spirit within them. We will seek to deepen the revelation of our union with Christ (I Cor. 6:17), how we can live centered down in that union, how this sensitivity can be maintained throughout the day, and how Christ’s indwelling presence can be released through us. Seminar Materials: LEARN Naturally Supernatural notebook by Mark and Patti Virkler. Seminar length: 3-5 hours. It is recommended that the full three-month course follow this seminar. Course materials include Naturally Supernatural and The Great Mystery. Understanding God’s goal of instruction. Understanding biblically the role of the mind in knowing. Understanding biblically the role of the heart in knowing. Understanding biblically the role of teaching in knowing. Seminar Materials: "LEARN Spirit-anointed Teaching notebook" by Mark and Patti Virkler. Seminar length: 5-7 hours. The follow-up book, which should be read, is How Do You Know? Also recommended is Experiencing God Together. God established fivefold teams to help direct His Church. These teams are made of people with five different heart motivations. When we discover our heart motivation and how to release it effectively in a well-functioning team, incredible development and advancement can take place. It has been called synthetic teams, where each one leads in the area of his heart motivation. Enhance your management skills and team dynamics by taking your team through this seminar. The same principles work for business teams and ministry teams. Seminar Materials: How to Build a Winning Team by Mark and Patti Virkler. Seminar length: 2-5 hours. For further reading on this topic see Gifted To Succeed. Designed for businesses, churches and corporations, this seminar delineates key principles for effective team management. The more of these principles a church or business is obeying, the greater the anointing of the Spirit of God which can flow through it. Don’t take a chance at success. Know and follow the principles for working together that release the success of God through your church or business. Application worksheets and times are a part of this seminar. Seminar Materials: Twenty Key Biblical Principles For Christian Management by Mark and Patti Virkler. Seminar length: 3-6 hours. This seminar provides a biblical view on creating and releasing finances into the kingdom of God and builds a clear, straightforward theology on the place of money in the Christian’s life. Mark shares his personal testimony of how God focused his attention on money and then takes seminar participants on a survey of hundreds of verses of Scripture showing a balance between the prosperity and poverty emphases in Christianity. The key truth presented is that we are to create financial resources for the purpose of releasing them into the work of the Lord (Prov. 11:24-27; I Chron. 29:3). Seminar Materials: Fulfill Your Financial Destiny by Mark and Patti Virkler. Seminar length: 1-5 hours. The book, Fulfill Your Financial Destiny can be a three-month follow-up course.